We recommend providing a meaningful Name to your Burst, since it is going to be used as an email header once notifications are to be sent. 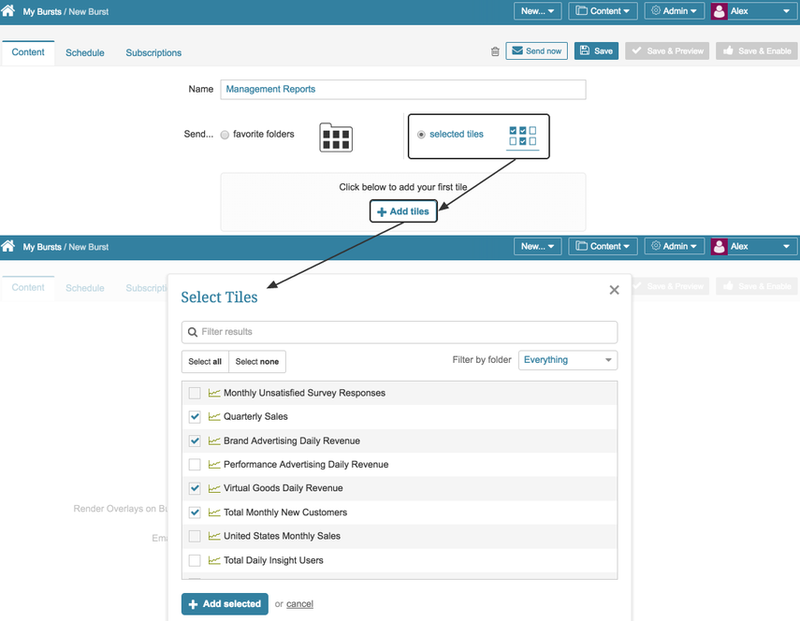 Select what kind of entities are going to be sent in Burst emails. In the screen above favorite folders are selected as the burst content. 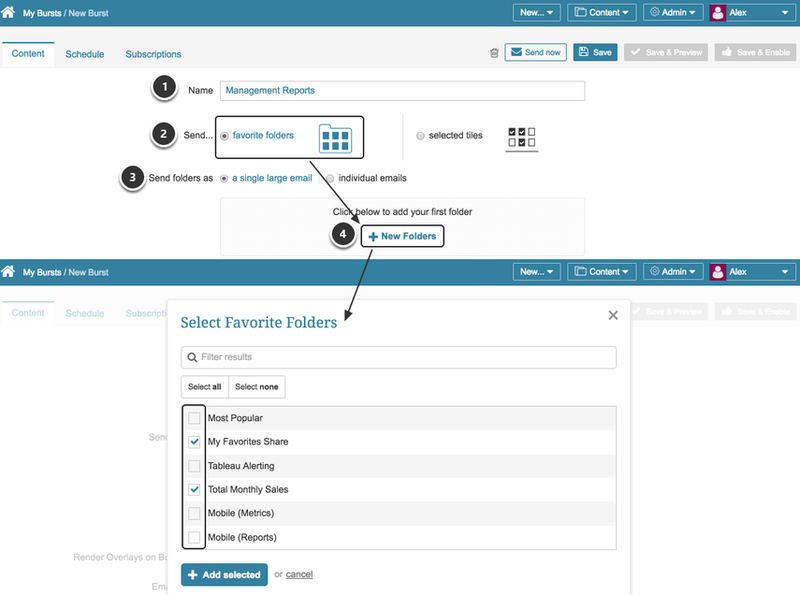 Send folders as: define whether each of the favorite folders that you are going to choose should be sent in individual emails or all of them should be sent as a one large email. Click [+ New Folders] and in the opened pop-up choose which of the folders are supposed to be included into the Burst. 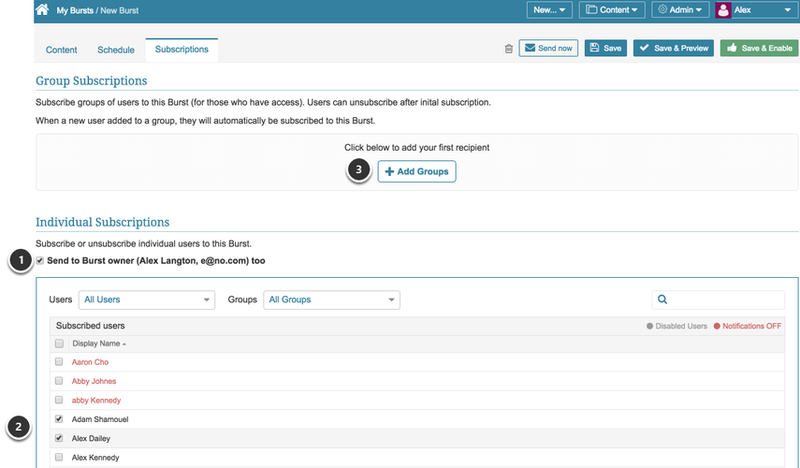 If you choose to add specific tiles into the Burst email, click [ + Add tiles] and in the opened pop-up choose which of the elements are supposed to be included into the Burst. 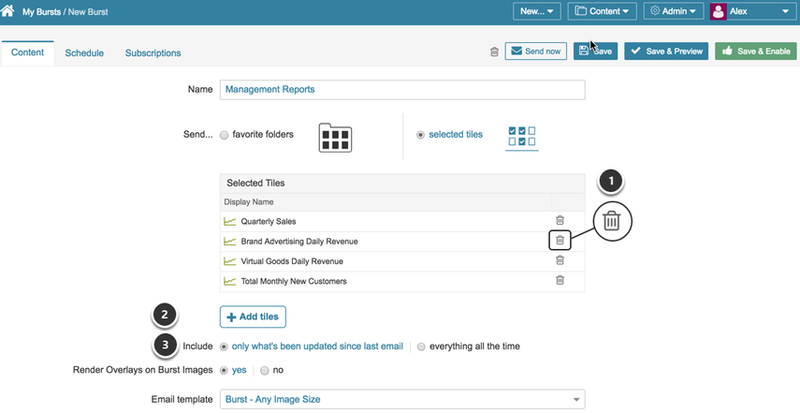 You can delete selections that may have been added erroneously. To do so, click the Trashbin icon in the respective row.